When Quentin Tarantino and Roger Avary completed the final draft of the Pulp Fiction screenplay in May of 1993, there was no way that either of them could have predicted the over $200 million worldwide box office gross the film would go on to make. The pulp fiction industry began its steady decline due to the nationwide paper shortages that occurred during World War II. When the war ended in 1945, the "post-war" sales of pulp fiction magazines dropped significantly as the new "post war" population preferred more expensive magazines referred to as "glossies." By 1949, most pulp fiction magazine producers began closing their doors and in 1957, the biggest producer of pulp fiction, American News Company, went bankrupt. Many believed that the pulp fiction industry officially ended with the bankruptcy of American News Company. Quentin Tarantino and Roger Avary reportedly began writing the screenplay for Pulp Fiction in 1990, completing the final draft in 1993. At the time, Tarantino was a relatively unknown director, having introduced his film Reservoir Dogs at the Sundance Film Festival just a year prior in 1992. Reservoir Dogs was met with critical praise at the festival and was nominated for the Grand Jury prize. 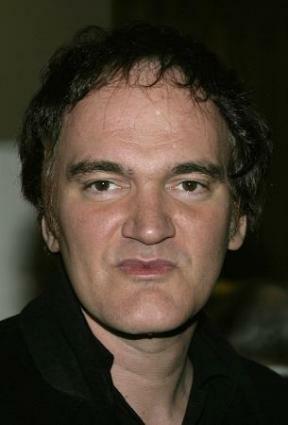 After his success at Sundance, Tarantino developed a large cult following, especially in the United Kingdom and England. In 1994, Tarantino would introduce Pulp Fiction at the Cannes Film Festival in France where it would go on to win the prestigious "Palm D'or'' award. 2. A magazine or book containing lurid material being characteristically printed on rough, unfinished paper. Jules, Vincent, Jimmie and the Wolf - This was later retitled in the film as The Bonnie Situation. The film is centered on hitmen Jules, (Samuel L. Jackson) and Vincent, (John Travolta) chasing down a mysterious briefcase for Marsellus Wallace. The contents of the briefcase are never revealed throughout the film. In later interviews, when asked about what was in the briefcase, Tarantino is quoted as saying "It's whatever the viewer wants it to be." While the film is following the misadventures of Vincent and Jules, a side story is going on that involves a guy named Butch (Bruce Willis), a down-on-his-luck boxer who is past his prime. Wallace is paying off Butch to throw the last fight of his career. Butch takes the payoff, but in the end, doesn't end up throwing the fight and makes plans to leave town in fear that Wallace is going to kill him. The role of Jules was specifically written with Samuel L. Jackson in mind. Jackson apparently almost lost the role to actor Paul Calderon. The majority of Jules' famous biblical Ezekiel 25:17 quote was written by Tarantino and improvised by Samuel L. Jackson. Only small bits and pieces of the quote were actually taken from the Bible's various Psalms and passages. Tarantino turned away Daniel Day-Lewis for the role of Vincent Vega. Day-Lewis apparently vied for the role but Tarantino had his mind set on John Travolta after his first choice, Michael Madsen, declined the role due to other commitments. Vincent Vega's 1964 Chevelle Malibu in the film was actually owned by Tarantino and was stolen during filming. There was a rumor that ran rampant when the film was first released that all the clocks in the movie were set to 4:20. This is not true as other times appear on clocks throughout the film.